Last year, I had the honor of being appointed to Colorado’s Health Equity Commission (HEC) and have been bringing my community organizing background and social justice values to the government in this exciting way. This is such an excellent opportunity to increase my understanding of the variety of ways Colorado can further our commitment to health equity while building community power. The HEC operates as an advisor to the Office of Health Equity (OHE), whose mission is to "build partnerships to mobilize community power and transform systems to advance health equity and environmental justice." They are working toward a vision that every Coloradan has equitable access and opportunity to thrive regardless of who they are or where they come from. The OHE holds strong values for racial and social justice and community power. So, naturally I’m bringing the conversations we’re having on the ground, in the field, and on the street to this table and helping to connect the dots on every level. As a commissioner, my job is to serve as a guide on issues specifically focusing on education and increasing the ability of state and local health programs and community-based organizations to take steps towards health equity. One of the reasons I am so passionate about influencing the state in this way is because I see community organizing as one of the most powerful ways to challenge oppressive systems and an effective tool for building a movement that can achieve critical policy changes. To address health inequities, we must challenge and change the systems that keep some of us sick. Public policy is one of the ways organizers and advocates can change the system of laws that have created structures that maintain health as a privilege for white people, and reinforces the structures that keep our black and brown families fighting for their lives. This year, the HEC is doing some exciting new work to review and take a public stance on bills going through the legislative session using a health equity impact assessment. Center for Health Progress has also adopted this approach in its own legislative analysis. I am energized to extend more leadership in this space because the State Capitol is where a lot of the action happens, and we can have a greater impact on reducing preventable health disparities. 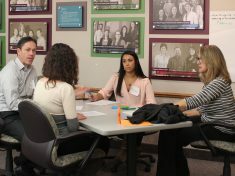 We believe that lawmakers, community members, and other stakeholders can benefit from a better understanding of the health and equity impacts of potential legislation, and how bills on housing, education, or transportation can have impacts on the health of our families and communities as much as bills that directly address health care policy and finance. The HEC will bring a critical perspective on how to revolutionize our current policies in order to make progress towards health equity and improved health outcomes for all Coloradans. We know that it is essential to show our leadership in a variety of ways, and at a variety of tables in order to build out the multiracial movement for health equity in Colorado. From the streets in our neighborhoods to the steps of the Capitol, we will be organizing and advocating for health equity in all policies. If you, your organization, or your local campaign are interested in working with the HEC on a bill you are running this year, you can reach out to me and we can learn how we might be able to partner to make a healthier, more equitable Colorado together.